Start by choosing a sample. 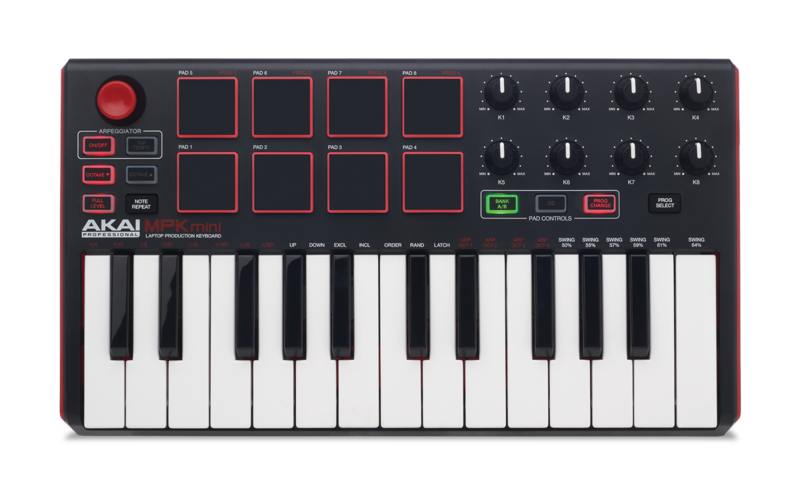 The MPK Mini MKII comes bundled with downloadable sound content, available on your Akai Pro account page. This includes tons of samples that you can use to create a keygroup for any of your projects. Using the MPC Browser on the left, choose a sample and drag it into the Program Information window of MPC Essentials. 3. After you have dragged this sample into the Program Information window, you will see that sample file is now listed in the 'Samples' column of MPC Essentials. 4. Open the Sample Edit window. This is where you can edit the sample you have selected to use as your keygroup. One of the most common edits you will make in this window is cutting your sample down to the desired length you wish to play. 5. After you have completed editing your sample, return to the Main window of MPC Essentials. In this window, you are able to assign a keygroup to your MIDI controller. 6. Within the Main window, under the 'Sequence' section, you will see a section labeled 'Type'. The default selection for this section of MPC Essentials is 'Drum'. The 'Type' will need to be changed from 'Drum' to 'Keygroup'. 7. Now that Keygroup is selected as the 'Type' for this sequence, you will now assign the sample you want to use as the keygroup. To do this, go to the Program Edit screen of MPC Essentials. Under 'Layer 1' change the drop down menu from 'None', to the sample you are looking to assign as your keygroup. The title of this sample will be found in this drop down menu. Congratulations! You've created a keygroup program!